The TA3200 provides 32 FXS ports to integrate analog phones, Fax machines and legacy PBX systems into IP communications system. 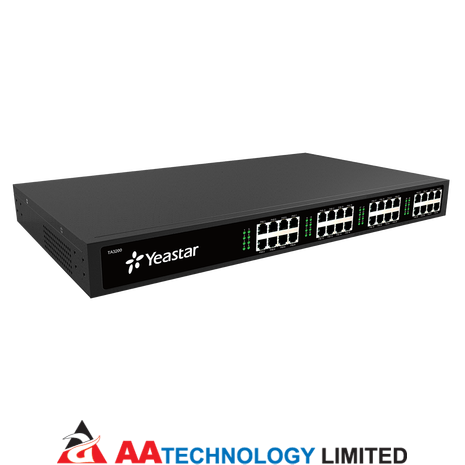 TA3200 allows users to deploy the economical solution in enterprises rapidly and confidently. TA3200 is a stand-alone FXS VoIP gateway with carrier-grade features and reliability. TA3200 has an easy-to-use Web interface which allows super easy and straightforward configuration. 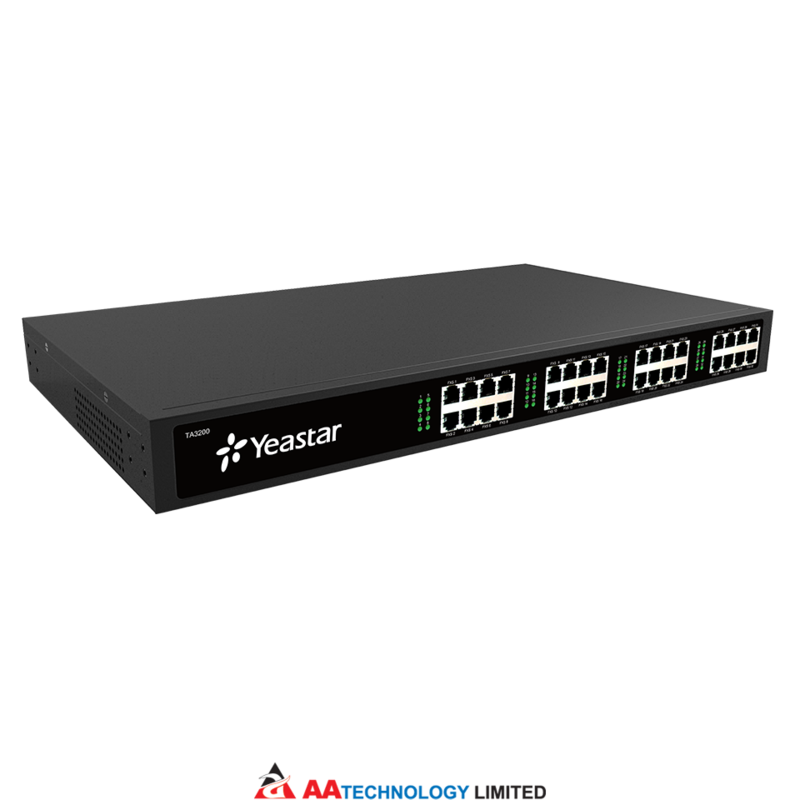 TA3200 supports PnP or DHCP provisioning by MyPBX and standard open protocol TR-069 and SNMP. Provisioning, monitoring, and management are as easy as a blink. TA3200 can be applied by SOHO business, enterprise users, service providers, contact centers, dispatching system, and many more.